The rumored set-top box from Amazon that will bring internet TV to your big screen TV, may well be marketed as a games console as well, according to reports. The Amazon Android based games console could launch later this year says a report from VG247 says that the console will sell for a rather high just under $300. The set-top-box/console will compete with other consoles from Microsoft, Sony as well as micro consoles like the Ouya and Valve amongst others. It is expected that it will be an entertainment unit that can stream video (including the rumored Amazon Live TV), music and movies, as well as play games, just like on the Kindle Fire tablet. The problem is that game apps which are suited to a touch-screen mobile device may not transfer well to a television in the living room. But Amazon are said to have been in discussions with Senior publishing sources to demo the device with popular Android and iOS games. Rumors of an Amazon box have been doig the rounds since last year, although the $300 price-point may seem steep compared to rival boxes such as the $69-$99 Android boxes, Apple TV and Roku. But if anyone has the marketing clout and huge subscriber base to achieve success with a new device, then that is Amazon. 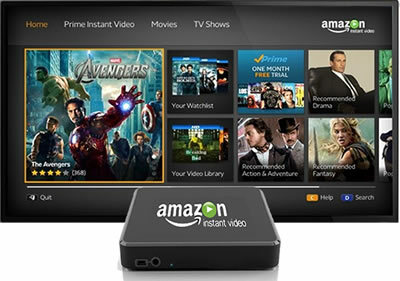 Amazon Creating Android Set-Top Box Challenger?